The Rampage rolled in and attempted to defeat the hot Gulls, but had no luck. John Gibson played like a wall again, allowing only 2 goals on 33 shots. Ritchie, the teams leading scorer, struck first on a power play 8 minutes into the game. 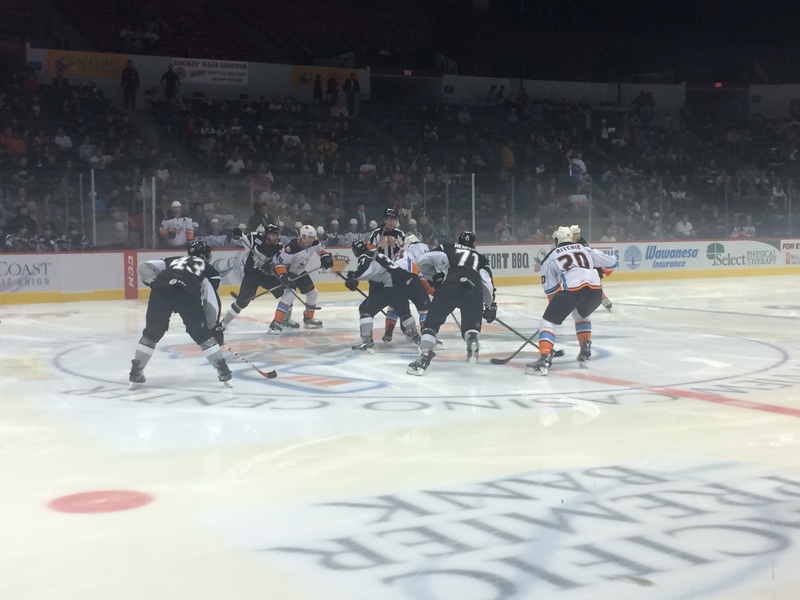 Shea Theodore notched his first of the year 5 minutes into the second, and the Gulls had a 2-0 advantage. The rampage scored 2 goals to tie the game up and send it to overtime in the third. 3:44 seconds into the 3 on 3, 5 minute overtime period, Nick Ritchie shot just out of reach of Rampage goalie Calvin Pickard to seal yet again, another Gulls victory! 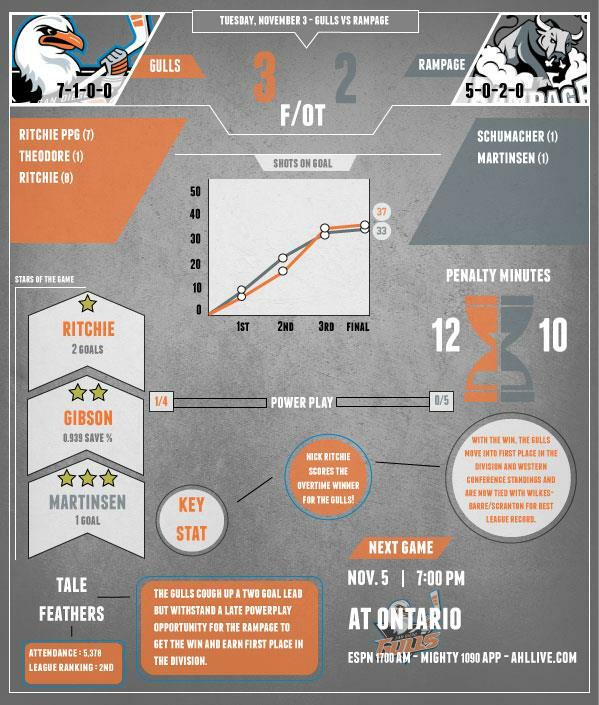 The gulls are undefeated at home, and have “protected the nest” incredibly well. Other notes: Tim Jackman made his first appearance for the gulls (being recalled by the ducks) and Joe Piskula made his return from the ducks. Passing play seemed rather sloppy tonight along with the Gulls puck control. Upsides, irrational penalties went down. Penalty kill unit is still putting in work, while the penalty offense is still lacking. Attendance sat at 5,378, which is an awesome # for Tuesday night hockey… Gulls have dropped their crown to Hershey however, so come out and see arguably San Diego’s best team thus far. Mentioned arena crew as a star because for a lot of fans, the ice, arena, or sound have been a downer thus far, but the people in charge took charge, Derek could be seen running around intermissions tightening goals, which has been a severe problem for the team. 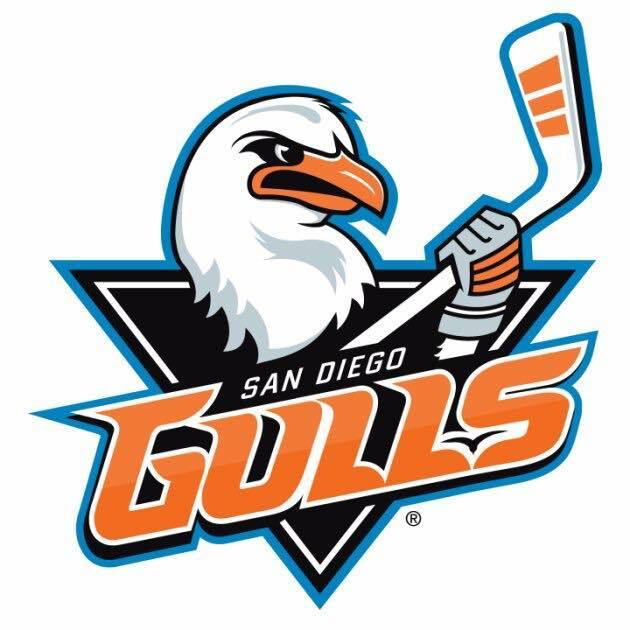 Gulls in flight tomorrow @ Ontario, the team they defeated twice in pre-season. Should be a tough battle for the boys, coming off this tough win.